Hamilton looked high and low and did not have the votes for gambling. He didn't kill the bills. He simply didn't have the votes to pass them so they died on their own. Mike Hamilton did not kill the bill. He created the gambling bill for Joe Straus and he tried and tried to find votes to pass it. Hamilton could not find the votes so he pulled the bill. He did not listen to his constituents and he did not kill the bill for them. He pulled the bill because it would not have passed. Hamilton is a fraud and is not a conservative! It looks like we cant trust either one of these candidates to tell us the truth. 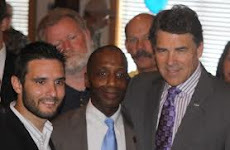 James White is buddying up to Joe Straus who has money invested in Bringing Gambling to Texas. Online casinos review will help you to know more about the online casino motobola You can know about the casinos where you can play the games safely and securely?